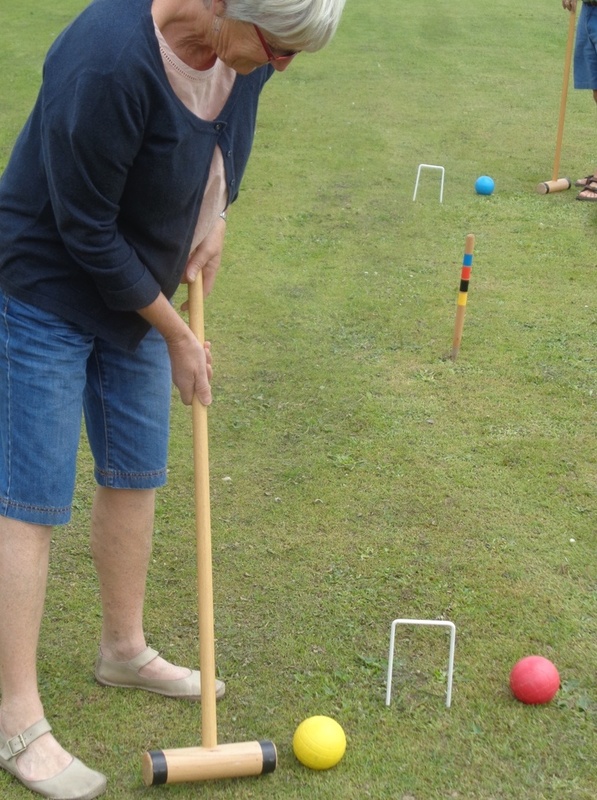 The croquet tournament was held on 31 July 2016, the first for several years that had perfect weather. It was a friendly doubles competition held at the St Neot Taverners Cricket Club field (many thanks to them for granting us the use of the field for this day). Seven pairs played, and this year’s winners were Malcolm and Jenny. The photos appear in random order (and the order changes each time you refresh). Got more photos? Please do send them in. NOTE: Please take care, when submitting photos for this website, that you have the rights to the photo (i.e. they are actually yours, not just e.g. lifted from another website), and that you don’t foresee anyone featuring in a photo objecting to its publication. Our intention is not to embarrass people! Thus, also, if you are uncomfortable with any photo that has been posted and would like it removed, either because you find it objectionable in some way, or because it features you and/or your children, please let us know; just identify it by stating the page where you found the photo, and with the ‘xxxx.jpg’ label or ID number you see when you hover over the thumbnail image, or a description. Thanks!